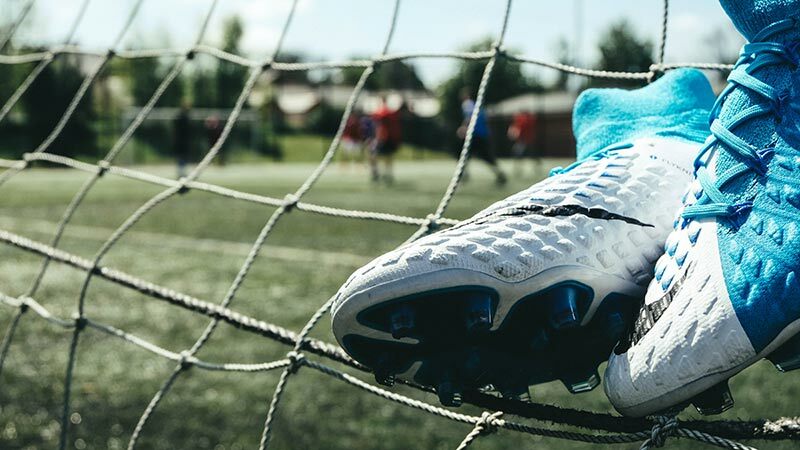 The stunning blue and white boot from the Motion Blur Pack is a joy to behold — both in hand and on the pitch. 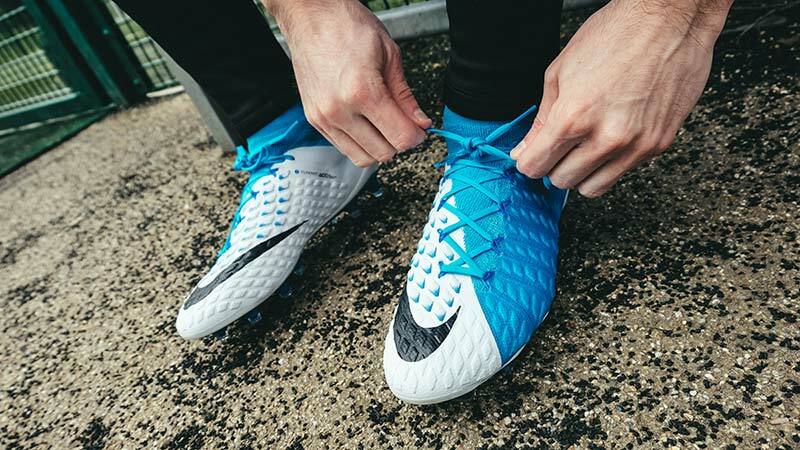 The split colourway design of the Hypervenom 3 leaves the instep with a clean white look, while the outside and collar of the boot are painted in a vivid “photo blue”, capped off with a black Nike swoosh. Modelled on the Nike CTR 360 Maestri II released as part of the Euro 2012 Clash Pack, this is possibly the freshest colourway of the season. 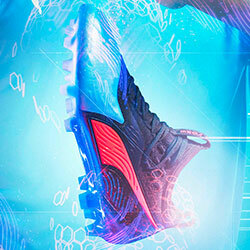 The tech behind the Hypervenom 3 is very much at the cutting edge of Nike Football boots. 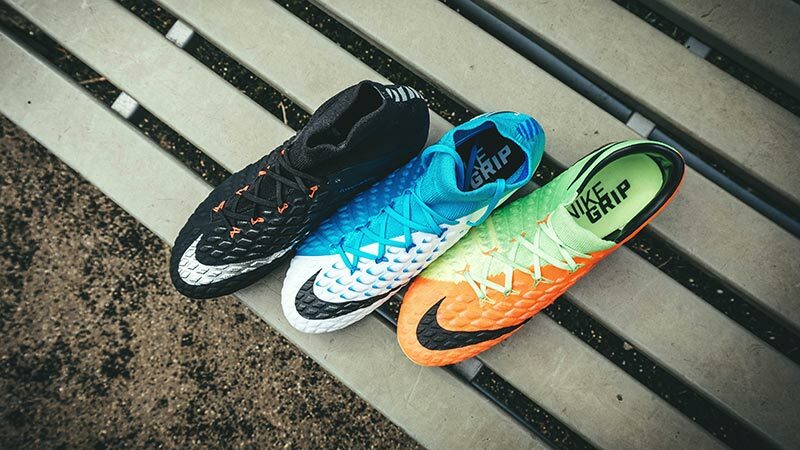 Flyknit uppers and Flywire cables are used across the Mercurial Superfly V and the Magista Obra II, as well as the Hypervenom 3. 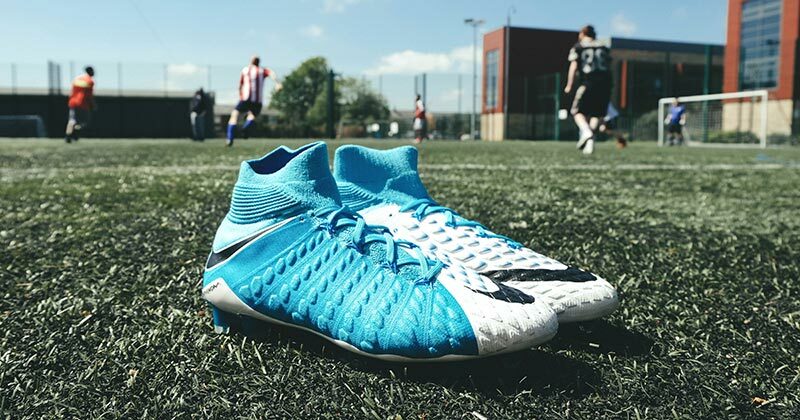 The key difference is the addition of PORON foam pods to the upper, which act in conjunction with your touch and strike, giving you pinpoint passing and deadly finishing. 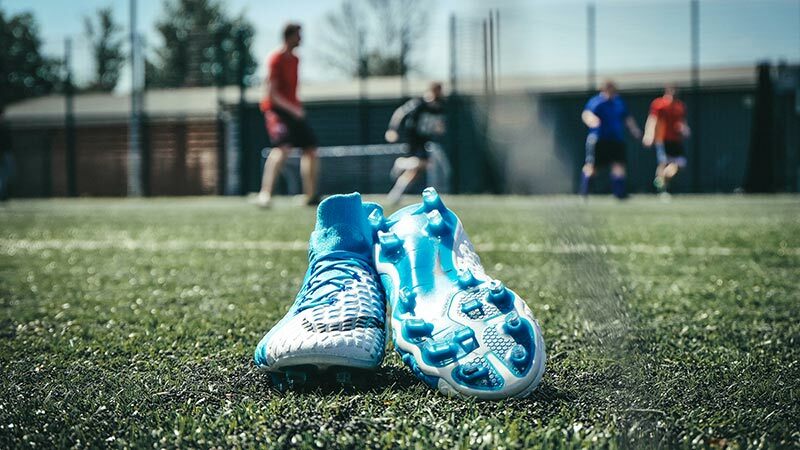 Equipped with an all new Hyper-Reactive soleplate, infused with Nike Free technology to create a flexible forefoot for greater response and stability, the HV3 lets you leave defenders bamboozled. 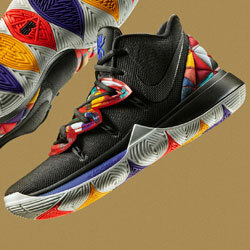 On feet you will notice the striking colourway — it really does feel fresh and vibrant. It is possibly the cleanest colourway of the range so far, beating the launch colourway from the Radiation Flare pack, but not quite matching the subtle Strike Night boot. The Hypervenom 3 fits true to size, with the Flyknit upper hugging your foot without causing pressure points from the Flywire cables which lock your foot in place. What was most noticeable about the boots was the PORON foam pods on the strike zone. They have a coating on to enhance power, but it also has an affect on your grip of the ball, making it stick to your feet more. It took a little while to get used to, dragging the ball it almost gets trapped under the foot, but a slight adjustment is nothing major. 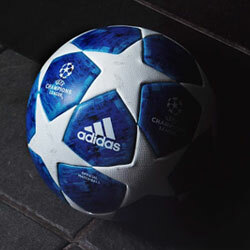 In terms of passing and striking, the boot gives you padding to improve both areas but in slightly different ways. The PORON foam pods cushion your passes, allowing you to put a perfect weight on the ball and gather on your first touch with ease. 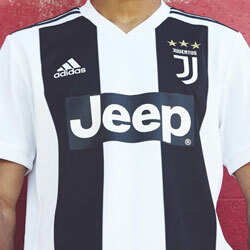 In front of goal, those pods harden up to give you that extra bit of power and a sweeter connection to send the keeper on his way. 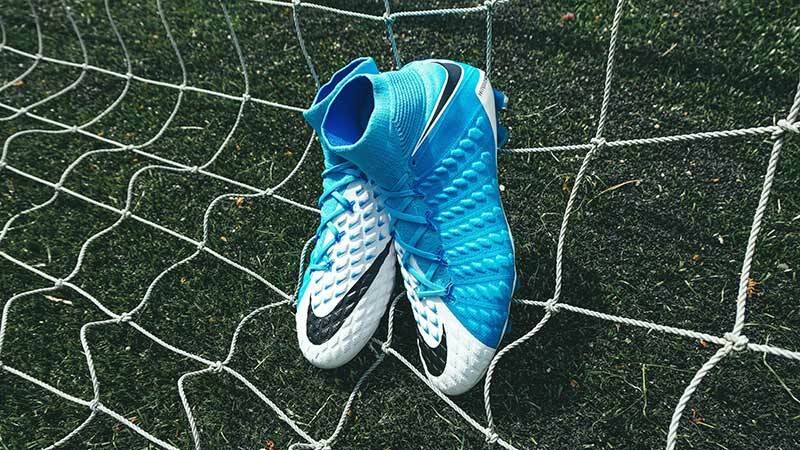 Along with the Hypervenom 3, the Motion Blur Pack features bright and updated colourways to all the Nike silo’s. The Mercurial is dressed in Race Pink and white, while the Magista uses a white base with splashes of Volt and the Tiempo receives Electro Green accents to go with a mainly white upper. 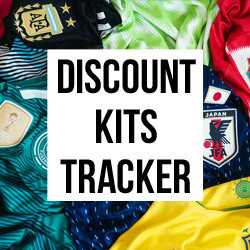 If you want any of the boots from the fantastically colourful Motion Blur Pack, you can shop the whole range at the very best prices with FOOTY.COM.